A California Highway Patrol officer came to the aid of newborns in the state capital this week, but it was a bit different than the usual story. The CHP says Officer A. Montano responded Monday to a disabled vehicle on the center divider of U.S. 50 south of downtown Sacramento. It turned out the driver was on her way to the University of California, Davis, veterinary hospital with a couple of newborn piglets. 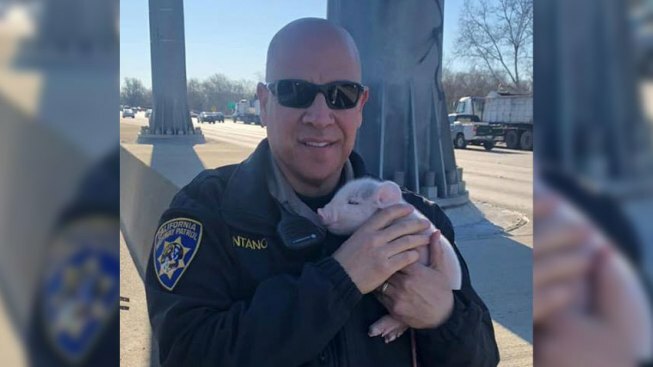 The officer stayed with the motorist until help arrived, and had a photo taken showing him cuddling a tiny pink porker.